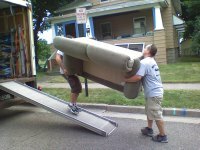 Miller Movers provides high quality moving services for your home or business move. With more than 60 years experience we are a highly recommended and respected service, providing you with a moving team who will understand and meet your needs. We will move your items like they are our own - to perfection. We know you will be 100% satisfied with our service. 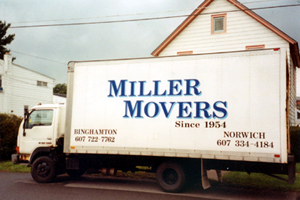 As of August 2015 Miller Movers is under new ownership. However you will continue to see the same courteous and professional service you have become accustomed to. Our employees have over 10 years of combined experience in moving, and will do what it takes to make sure your belongings arrive at your new home safe and sound. We can move almost anything, and have moved items within a home or business, from your current home to your new home, or wherever your final destination may be. Our employees are also available to load or unload a truck that you may have rented yourself. No deposit is required, however we do require all bills to be fully paid once the job is completed. If you have any questions, or are not sure if we can help you, please call, email or use the submission form on this site and someone will get back to you within 24 hours.